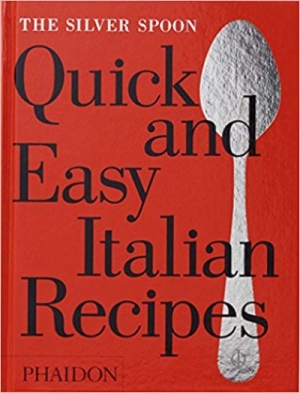 100 recipes that can be cooked in 30 minutes or less from the world's most trusted and bestselling Italian cookbook. This is the latest title in Phaidon's bestselling Silver Spoon series presenting over 100 recipes all of which can be cooked in 30 minutes or less. The recipes have been selected from the bestselling book on authentic Italian cooking, The Silver Spoon which has sold over 1 million copies. Each recipe has been thoroughly tested and is aimed at home cooks of all experience levels. Cooks of all levels can master such classics as Spaghettini with Clams, Milanese Risotto, Roman Saltimboca and Forest Fruit Gratin with Zabaglione. Its hardback format gathers its iconic recipes into a practical, easy-to-use package that will become a staple of any kitchen.